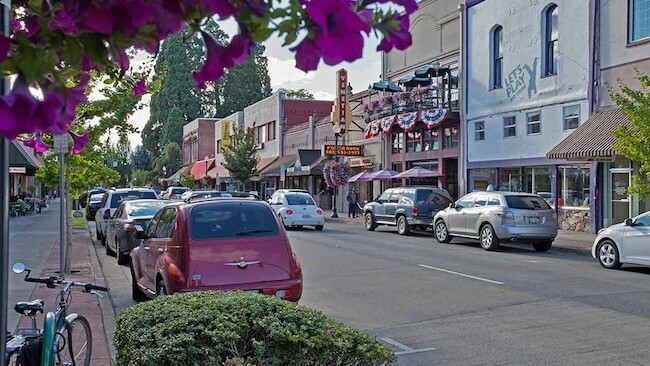 Throughout the process of exploring municipal network possibilities, community leaders in Hillsboro have kept digital equity high on their list of priorities. In order to meet one of their goals — to bring high-quality connectivity to lower income neighborhoods — one of the first areas of the city where HiLight will deploy is in Southwest Hillsboro and the premises around Shute Park. Connectivity rates in these areas are the lowest in Hillsboro, where many residents qualify as lower income. In order to expedite deployment, the city has decided to start construction in the South Hillsboro area, a section of town where new roads and homes are being built. By taking advantage of the current excavation, the city’s dig once policy will ensure conduit goes in the neighborhood now, which will greatly reduce the cost of deployment. Hillsboro will also install conduit whenever roads are excavated in other areas of town to prepare for future deployment. By late 2019, HiLight should be connecting residents and businesses to the network. They plan to take an incremental approach to connecting all areas of the city and will strategically consider locations of businesses, busy travel corridors, and schools as they decide where to expand. Hillsboro will invest approximately $4 million toward deployment per year for the next seven years and anticipate subscriber revenue will cover operating costs. Earlier this year, Hillsboro and the Hillsboro School District (HSD) announced a partnership to invest in fiber that the schools will use for connectivity and that will serve as the foundation for the city’s new broadband utility. As part of that investment, the city council voted to contribute $3.3 million towards the construction of the fiber optic network construction. HSD will dedicate 2017 Capital Construction Bond funds toward the project. By developing their own network and ending the need for leased lines, HSD anticipates saving approximately $5 million over the next 10 years. The city will manage and maintain the network for HSD at no charge. As for their own benefit, the city of Hillsboro expects to also save $10 million through the reduction in deployment costs of the citywide fiber optic network. Hillsboro is taking a tip from places such as Chanute and Ottawa in Kansas, and Santa Monica, California. In those cities and towns, investment in community network began with or integrated early school fiber optic resources to reduce the cost and effort required to deploy a citywide FTTH project. Often federal E-rate funds can lend a hand in paying for deployment. Prices are not finalized, but the city expects to set rates at around $50 per month for symmetrical gigabit Internet access. Hillsboro will also provide services to low income residents for $10 per month. Commercial subscribers will pay approximately $70 per month but prices will vary, depending on what businesses need. Video service will not be available from HiLight, but Hillsboro will be working with a private sector partner to offer voice.